Well maintained full brick home overlooking a small conservation area for privacy. 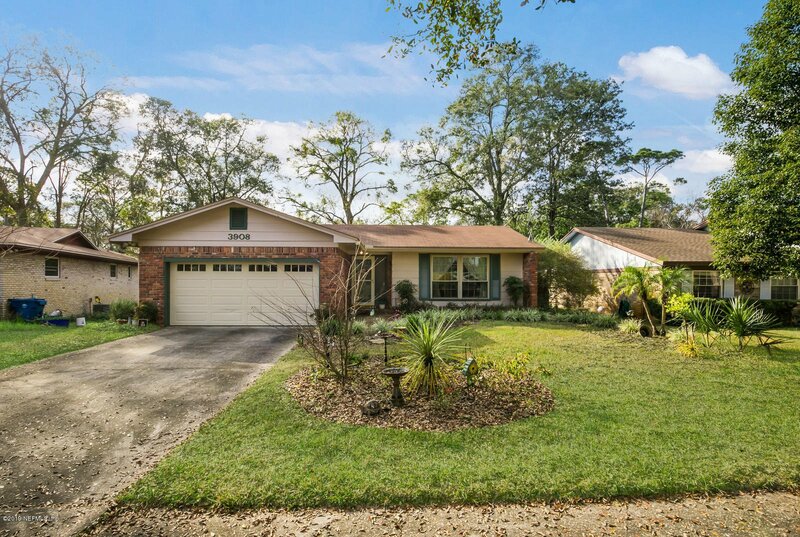 This three bedroom, 2 bath beauty features a fully equipped kitchen with all Kenmore appliances, white cabinets with tile countertops, and stunning pecan wood floors in the foyer, living room and dining room. Other amenities include a welcoming family room that offers an ambiance enhancing wood burning brick fireplace, newer Silestone top in hall bath, a spacious screened in porch, a large wood deck, a shallow well for irrigation, & 2 car garage. Home has been re-piped and windows have been replaced with double pane insulated windows. Listing courtesy of RE/MAX SPECIALISTS. Selling Office: BERKSHIRE HATHAWAY HOMESERVICES FLORIDA NETWORK REALTY.